Woah, never heard of a Saturday school day before. That stinks! Sorry. 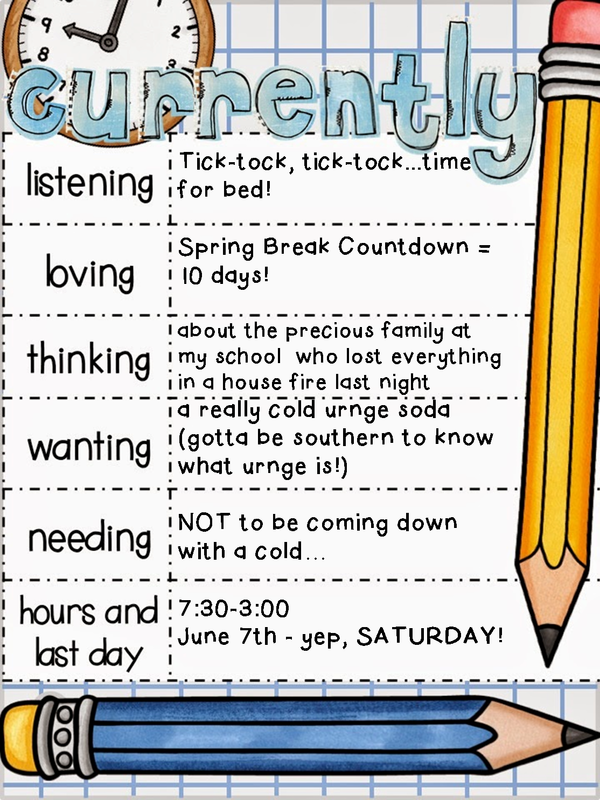 I am in the Spring Break countdown too! It can't some quick enough! Nice to "meet" you through currently and prayers for the family that lost their home in the fire.